When people talk about their travels to Oaxaca, or give recommendations about the Mexican state to the southeast of the capital, most likely that conversation will revolve around food. I remember getting plenty of advice before my travels there, and being rewarded with a delicious plate at every meal. The biggest memory from my travels in the city also called Oaxaca was of a white sauce called mole blanco, as I was lucky enough to be traveling there around Christmas, one of the holidays where you usually find it cooked. Given the mixture of cultures that Oaxaca is known for, the cooking has evolved from many different directions over time and produces some thoroughly unique items. 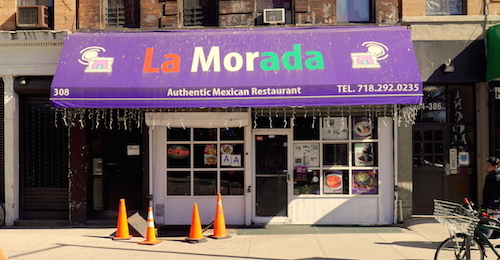 Menus in New York do not include mole blanco, and to be fair, even the menu at La Morada does not have it! 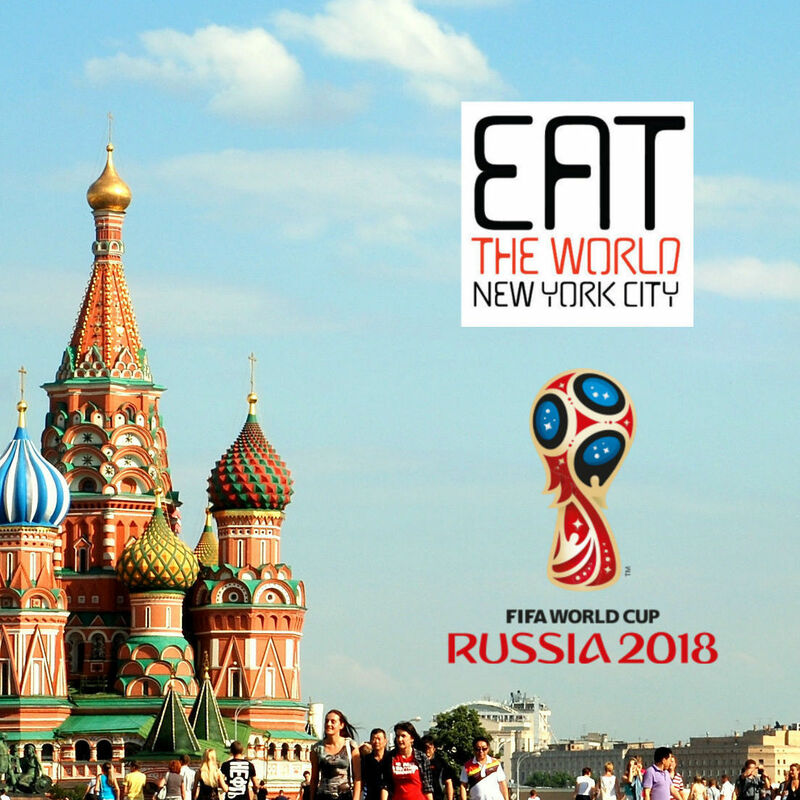 Some great reporting in Serious Eats last year sought it out, but it was still near impossible to get your hands on until the restaurant got the attention (with no credit to Serious Eats given) of the New York Times this year. Now apparently, you can roll up on any given Sunday and find the wonderful dish ready to go. In fact, four out of the five moles listed on the menu, plus the blanco were all available when I went. Mole blanco ($12, below) is absolutely a star, but when tried, should be given a stage and served without other moles. 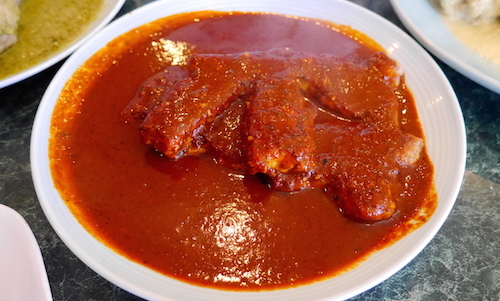 It has the power of unseen chilis in its recipe, but its unique smoothness and nutty flavor beg not to be contradicted by other spiciness during the meal. It pairs better with rice and beans and cheese, maybe some plain tostadas or other unabrasive antojitos. The nuttiness comes from four different nuts: two varieties of almonds, peanuts, and pine nuts, which shine through the brightest. It is a sauce of rare form and excellent craftsmanship. Those aforementioned chilis are habañeros, always playing their important role but never upsetting the balance between the nuts and garlic. You knew I gathered my advice from before from experience (read: mistakes), so here were the other moles we ordered that afternoon in addition to the star. First, the mole Oaxaqueño ($12, below) which is the product of seven types of dried peppers that are rehydrated during cooking. 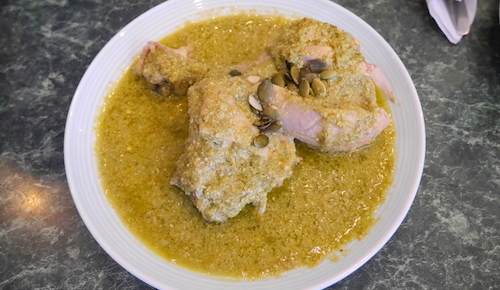 It is the only mole listed as "VERY spicy" but we did not think it packed the punch even of the verde. The pork chops are the house recommendation for meat with this dish, but we found them less interesting than the succulent chicken. The mole verde ($12, below) is good, and was the favorite of my two dining companions. This to me though is less unusual and contains all the very familiar (and very delicious) tastes of Mexican cuisine we usually eat, green chilis and habañeros. That being said, it certainly is worthy of being on any order here. Towards the back of the restaurant is a large bookcase with quite a few titles and a makeshift lending library. One might think they were in an anti-establishment coffee shop had the smells been different. Protest stickers adorn different parts of the place, and you start to feel the owners are trying to stir more than their culinary pots. But those culinary pots are what will grab and hook you. The words "kushi vaa" are on the front of the menu and roughly translate to "healthy eating" in the Mixtec language of the owners, giving away the true higher cause of the establishment.